KW suspension now offers adjustable shock absorbers for numerous historic Porsche 911 (G-series) models produced from 1973 - 1989. The dampers from KW suspensions are available in two versions. First is the Variant 3 where the standard torsion bars on the front and rear axle are utilized. Then there is the KW Clubsport variant for track day use with a racing spring system, adjustable inverted mono tube dampers, and adjustable top mounts. With the integrated click-type compression and rebound adjusters, it is easy to individually adjust to the recommended basic setup of the damper. For example, with its 16 click settings, the rebound allows you to directly influence the handling characteristics as well as the driving comfort. 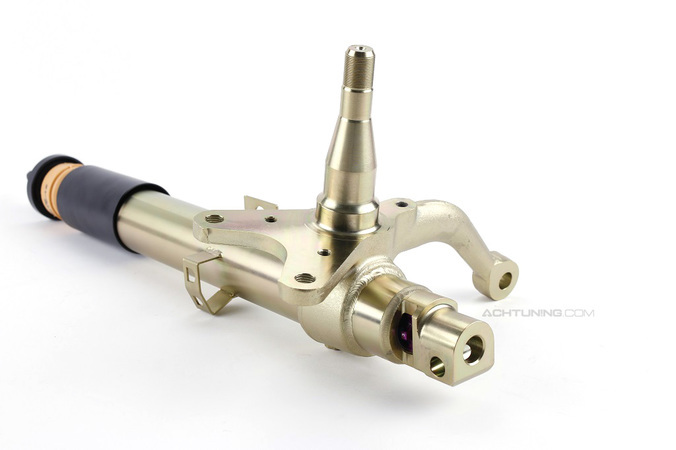 With the low speed compression valve, which can be adjusted in twelve clicks, the driving behavior of the classic Porsche can be further increased if desired. For example, a higher compression level on the front axle allows more direct steering, and on the rear axle, higher compression damping forces counteract oversteer. Due to the digressive valve assembly of the pre-configured high speed compression valve, the damping reacts in a positive manner when suddenly driving over bumps on the street. The dampers & wheel can react immediately which prevents the feeling of jumping over a curb. The Porsche 911 equipped with the adjustable KW shock absorbers provides much more direct handling and gains significantly more grip on the rear axle without an increased tendency over-steer. Even the ride comfort is improved. 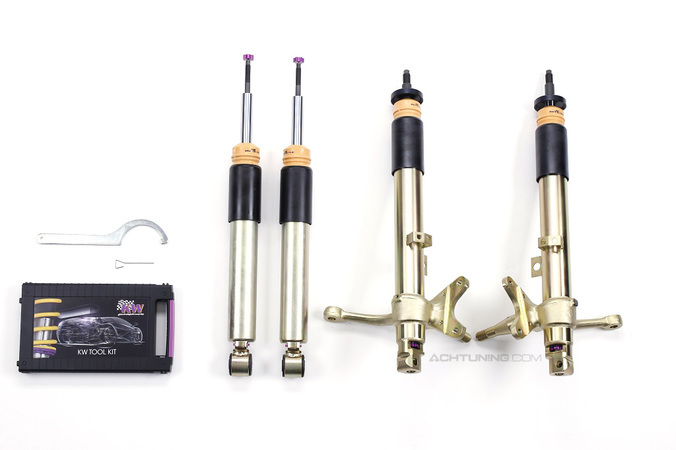 The great advantage besides a quantum leap in terms of driving dynamics is that the "KW suspension kit" features replacement spring struts and dampers, so time-consuming strut conversions with replacement cartridges is not necessary. Also, the standard torsion bar springs on the front and rear axle can still be used. For the historic motorsports aficionado, KW also manufactures different racing suspensions with independent compression and rebound damping settings for the Porsche 911 G-model, depending on the regulations. Based on this experience, the basis of the KW Clubsport coilovers are a racing suspension system, adjustable aluminum Uniball top mounts and 2-way high-performance shock absorbers in an inverted mono tube design on the front axle as well as aluminum damper housings on the rear axle. Increased rebound forces ensure a tighter handling and a significantly reduced rolling of the body. So at very high speeds the steering precision is improved at the driving limit, while on the uneven and wavy road surfaces, a lower rebound stage is advantageous. 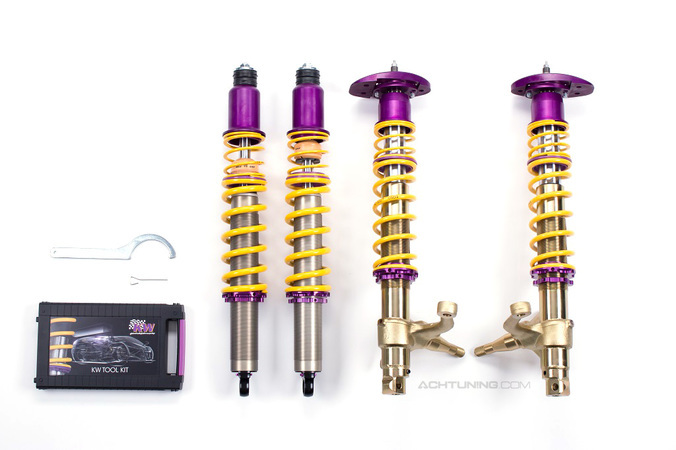 On the upper damper housing of the KW Clubsport coilover kit for the Porsche 911, the compression stage can be changed with twelve clicks to further increase the driving behavior of the vehicle. “Due to our racing springs and the elimination of the torsion bars, when installing our KW Clubsport coilovers, no special race suitable torsion bars need to be retrofitted”, says KW Product Manager Johannes Wacker. The KW Clubsport coilover kit features a certificate and so it can also be used in public road traffic.